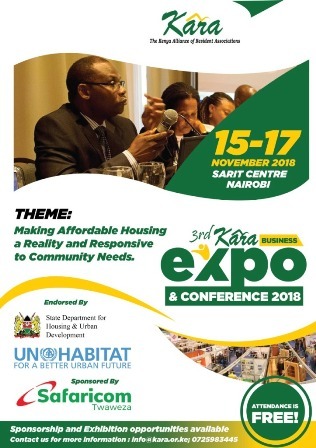 Kara has partnered with Safaricom to beef up security in neighbourhoods, promote awareness on environmental and health issues and to enhance achievement of sustainable cities and communities in Kenya. Under the partnership, Safaricom will cooperate with residents associations in laying out and maintaining telecommunication infrastructure for use in deploying technology to enhance security. Kara and Safaricom will also jointly facilitate trainings on health and environmental awareness for the neighbourhood associations. Speaking during the signing of a Memorandum of Understanding (MoU) by the two organisations, Safaricom CEO Bob Collymore noted that it provides a framework for cooperation in leveraging technology to address challenges in the neighbourhoods. “Technology offers huge opportunity to enhance the quality of life in neighbourhoods across the country. This partnership opens the door in co-creating solutions that will promote sustainable development in our neighbourhoods. This is in line with our agenda to transform lives of Kenyans,” Mr Collymore added. 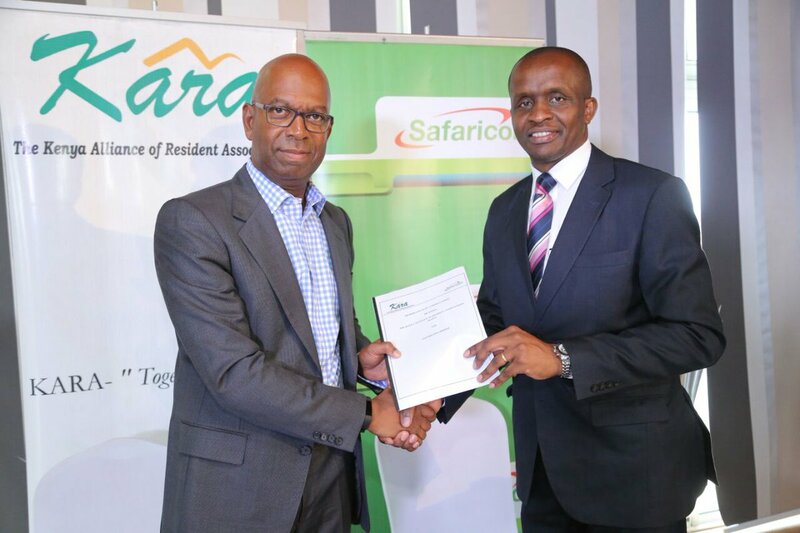 The CEO of KARA, Henry Ochieng’ said that the partnership with Safaricom is a boost to the organisation’s efforts to find solutions to some of the challenges affecting residents associations in Kenya. “As Kara, we are keen on making significant contribution towards realization of sustainable cities and communities as espoused under Sustainable Development Goal number 11. 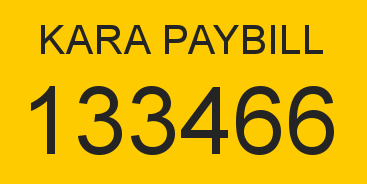 This can only be achieved through collaboration with Parties such as Safaricom who share in the same vision and goal. Indeed, private sector has a critical role to play in supporting sustainable development of our communities and we appreciate Safaricom, who are also members of Kara, for taking the lead in this regard. We are particularly interested on leveraging on this partnership to address issues that are dear to our members such as security, health and sustainable environmental management” he said. The two year MoU will see Kara and Safaricom organize joint activities aimed at realizing the objectives of the partnership.